Marilyn I. Ahrens, 85, of Ossian, Indiana, passed away at 10:20 a.m., Thursday, at her daughter's residence near Hollansburg, Ohio. She was born on December 10, 1929, in Van Wert County, the daughter of the late Forest Herbert and Helen Melissa (King) Dull. On August 25, 1951, she married Ralph William Ahrens who preceded her in death on August 25, 2004. She is also preceded in death by a granddaughter, Megan Maurizi. Family members include her three children, Mark (Michelle) Ahrens of Ossian, Sherry Maurizi of Fort Wayne, and Pamela Mottinger of Hollansburg, Ohio; one sister, Carolyn Whitmore of Spencerville, OH; three brothers, Ned E. (Gloria) Dull of Wren, Max L. Dull of Willshire, and Jason E. (Rae) Dull of Rockford; eleven grandchildren, Janice Maurizi, April (Dan) Herrmann, David (Cindy) Maurizi, Philip (Katie) Maurizi, Melissa (Matt) Rayls, Jessica (Taylor) Wright, Matthew Maurizi, Brad Mottinger, Kelsey Ahrens, Kaleb Ahrens, and Kody Ahrens; and five great grandchildren, Cooper Herrmann, Emersyn Herrmann, Nora Maurizi, Isabella Maurizi, William Maurizi. 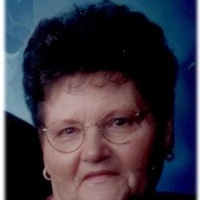 Marilyn was a homemaker and affiliated with Blackhawk Ministries in Fort Wayne. Services will be held at 11 a.m., Monday, July 20, 2015, at Blackhawk Ministries, 7400 E. State Blvd., Fort Wayne with Rick Raber officiating. Interment will be at Ohio City Woodlawn Cemetery at 2 p.m., on Monday. Calling hours are 1 - 5 p.m., Sunday at Cowan & Son Funeral Home, Van Wert and one hour prior to services Monday at the Church. Preferred memorials are to Lima Rescue Mission or T.V. Channel 44, Lima.